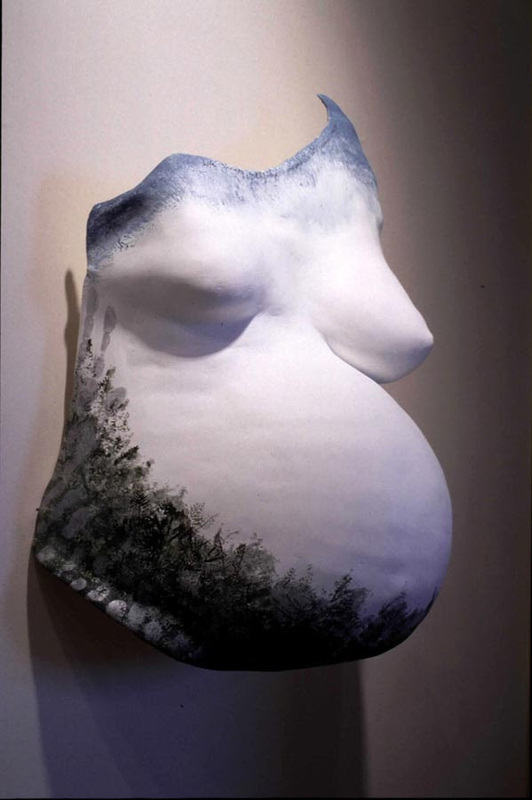 Arla Patch, a gifted artist whose work has been discussed previously on Visualizing Birth, will soon lead a workshop on body casting for women who are celebrating pregnancy and preparing for their babies’ arrivals. In addition to creating beautiful pieces of art, Arla often incorporates elements of the sacred into both her artwork and her art making. This is a unique opportunity to be a part of this process with Arla, bringing art to the sacredness of pregnancy and birth as a rite of passage. The workshop will take place on Sunday, July 8th, from 4-8pm at LifeCycle Womancare in Bryn Mawr, Pennsylvania. As pregnant women, we live in our bodies and know that we are pregnant, we can see our growing bellies in the mirror every day, feel our baby inside of us, etc. But there can still be a sense of disbelief or dissociation with the pregnant self that arises. We know that labor and birth are coming too, and perhaps there are feelings attached to those events that keep us distant from our pregnant selves, most likely because our society feeds us information about what to expect and medicalizes pregnancy instead of treating it as a sacred rite of passage. Looking at the form that appears when one’s own pregnant body caste is created helps to bring new realization, belief, excitement, and celebration to the pregnancy. In turn, seeing the form of one’s own pregnant body as an object separated from the body has the capacity to bring the pregnant woman closer to her actual body. For some, viewing the object also enhances an understanding that birth is right around the corner and encourages the viewer to visualize the process of birth, as well as to visualize the baby inside who will soon emerge from the body. Arla Patch, BFA, Ed., MFA, is a creativity midwife, writer and artist whose own life generated the focus of her life’s work. Her award winning books are available on her website at www.arlapatch.com, and her artwork is also available through her online gallery at Fine Art America.